Willpower is the first and the foremost important aspect in human life, which helps to achieve ones’ life goals, including a healthier, sturdier and fitter lifestyle. There is no alternate, however, to maintain a healthy body in today’s fast paced world, one can take advantage of the health oriented technological inventions. These inventions range from basic information- oriented gadgets to more advance form of equipment’s. Before planning one’s exercise plan,having basic knowledge about one’sbody performance is very essential, thus, Allsportspk Health research team, focused onthe Gadgets and Applications that can help you stay fit through professionally self-tracking your own health data and making your otherwise boring workout routine more bearable and enjoyable. Allsportspk Health research team shares important findings aboutsome selectedGadgets which it found to be worthwhile for people who are a little health-conscious or complete fitness zealot. Even with the best gadget, it is important for users to realize that they need to work harder in their fitness routines to reach their goals. These gadgets will only help enhance your workouts, update you on your progress as well as motivate you into working out smartly. 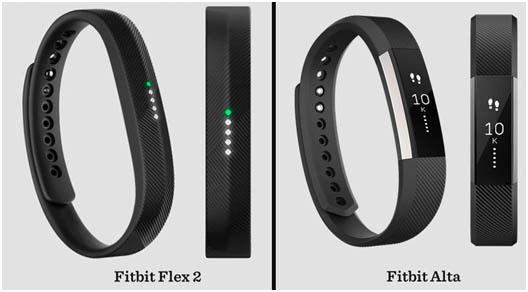 The Fitbit Flex works on the latest technology that works as sleep and activity trackers and has a rating of 9/10 so far. During the day this stylish device keeps track of your heart rate/pulse, steps taken, calorie drop and distance covered. At night it records your sleep cycle and maintain a chart, wakes you up in the morning and makes sure if you have gotten enough sleep to get a sound mind and sound body. It facilitates you to maximize your training by helping you maintain exercise levels during work-outs. The inbuilt sensors can be used for different activities and enables you to monitor your improvement in multiple sports as well. High data rates to get synced to phone and computer. Can give false readings as the device measures the sleeping time till your feet have actually hit the ground. How fascinating it is if you get your hands on a device that can monitor your Will Power as well? Well, look no more. Armour39 doesn’t only measure your progress but also keeps track of your will power. It works on an algorithm which factors in how long you work out, gender, weight, BMI ratio and the exercise type you choose and it calculates score after every work out which keeps your fitness routine challenging and motivating. Very easy to use and metric shows exactly how intense the work out was. It also compares previous recorded workouts and plans the next routines accordingly. No web interface for data analysis. No social sharing or ranking and cannot compete with peers. 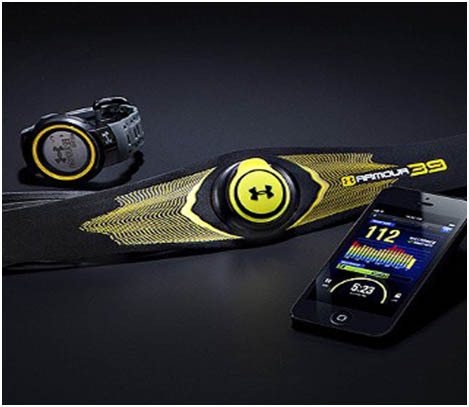 It measures specific exercise types, sets, repetitions, durations, distance and calories burned. 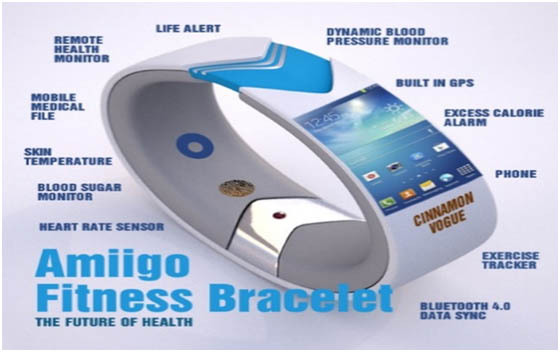 Amiigo Fitness Bracelet is used by Android and Apple users. It learns to track new data that have repetitive pattern such as jumping jacks. Wireless charging and wireless syncing. Measures a list of biometrics such as resting heart rate, heart rate variability, blood oxygen level, calories burn rate, blood pressure and much more. No vibration/light feedback to let us know how close you are to your goal. The band can come off during sleep or even during daytime. Long charge time is required while battery life is short. It’s a stylish bracelet that tracks our every move and converts into a daily goal reading namely Nike Fuel. It’s for beginners as well as athletes. The best thing about this device is it uses the same calculations for everyone so we can compete among ourselves and anyone and everyone can use it. It can be used while swimming and other water based nature as its water-proof. 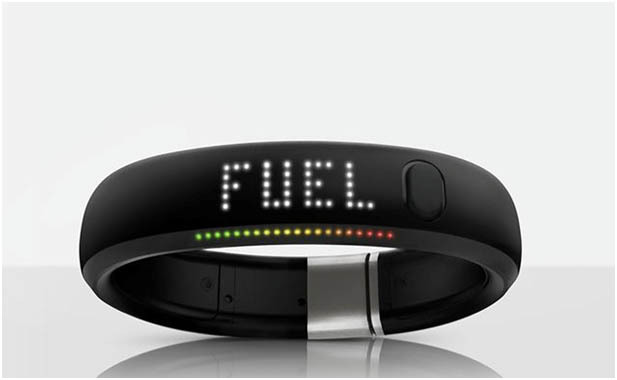 The application also introduces some social functionality of the FuelBand. Difficult to set up the band and get it synced with mobiles and computers. The published content is only for information purposes, therefore, it should not be construed as a final health and fitness advice. Even if the content is correct the readers and/or users are advised to seek professional medical advice. Never ignore or delay a professional medical advice because of something you have read.